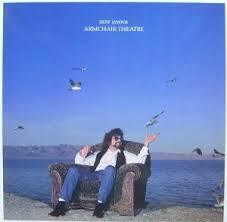 JEFF LYNNE CD: Armchair theatre. Jeff Lynne: Vocals, backing vocal, piano, keyboards, bass, electric & acoustic guitars,chair, auto-harp, footsteps, choir. Richard Tandy: Acoustic guitar, piano, backing vocals & choir. Mette Mathiesen: Drums, percussion, tamborine & choir. - (Mette Mathiesen is a drummer in the danich band Miss B. Haven). George Harrison: Acoustic guitar, background vocal, slide guitar, harmony vocal. Phil Hatton: Backing vocals & choir. Hema Desai: Operating voice, classical Indian voices. Jake Commander: Background vocals & choir. Sureesh K. Lalwani: Percussion & violin solo. Ashit Desai: Classical Indian voices. Webmaster: Ken Stavensoe Nielsen, 08-11-2018.